You can also use more than one of these audiences to create a combination audience. I build many combination audiences, because custom and lookalike audiences can be added to or excluded from a saved audience. 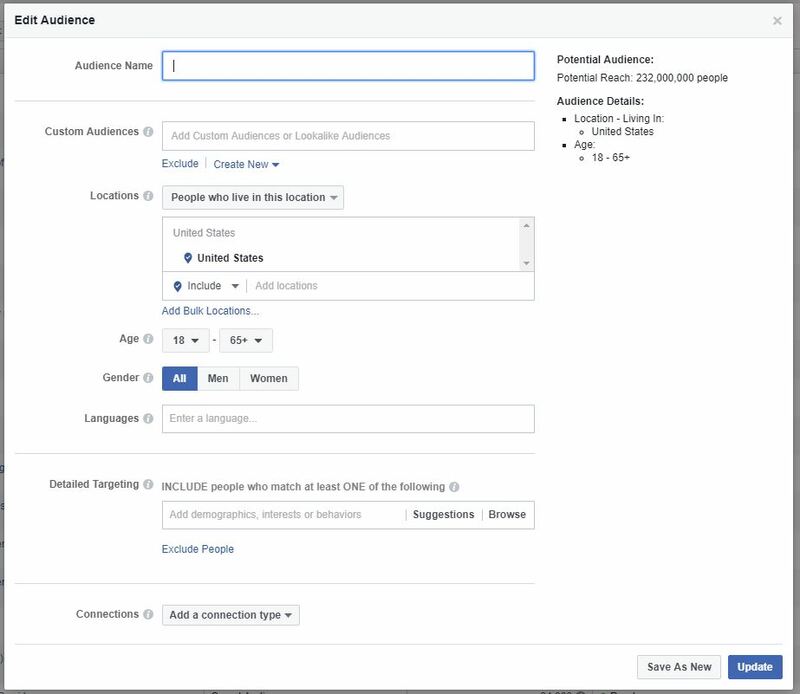 A saved audience is where you can add Facebook interest targeting. I create audiences separately from the ads builder in an Audiences builder. You can build an audience during ad creation, however my preference is to use the Audience builder. 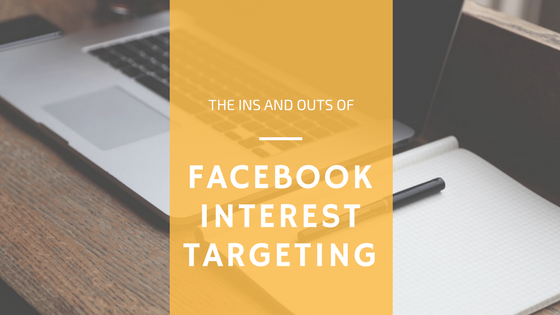 Why use Facebook interest targeting? I use Facebook interest targeting around events, campaigns for page likes and newer campaigns. Interest targeting is also useful when a customer list is too small to make a lookalike audience. Facebook interests include more than just interest categories, you can also target deeper demographic information like lifestyle and behaviors. Doing something around weddings? Target anyone who’s engaged within a certain radius of your location. Have something family-friendly coming up? Target all parents or just parents with kids at a certain age level. There are many possibilities, all you need is an idea of who might be interested in your event or offering. Quite a few blogs claim interest targeting isn’t accurate, or that you have to do extensive research in order to build a good audience. That has not been my experience with interest targeted Facebook ads. With all the ads I’ve run, saved target audiences with interest can be just as effective and successful as a custom or lookalike audience. It’s important to look at what industry these bloggers talking about. Some are more general and some are selling a service, not a tangible product. In tourism, all of the DMOs we work with have a solid idea of who they want to reach. They know where the people they want to reach live and how old they are. Even my non-tourism clients know the demographics of the customers they serve. If this is you, you’re on track. What Facebook interests should I target? So you’re ready to make a target audience. Think through what you are advertising. What is the objective, and what kind of person is most likely to be interested in what you’re offering? How far will they travel to reach your destination? Where do they live? How old are they? What are you advertising? Type some keywords related to the ad into the box under Detailed Targeting. To avoid some of the downsides, be as specific as possible. Would any parent have interest in your ad, or just parents with kids younger than teens? If they like shopping, is it antique shopping or bargain shopping or luxury shopping? Is there a competitor similar to you? Type them in to see if they’re included in your interest targeting possibilities. Once you start typing a few interests, Facebook will suggest more. Different variations of an interest keyword can reach different people. At the end of your audience creation, you should have a estimated reach of over 100,000. Higher is better, but don’t sacrifice good interest targeting for a higher number. Estimated reach is shown on the right sidebar when you are building the audience. If you see estimated daily reach, you’re in the ads builder and that is a blog for another day! Beyond the Boost: Digging in to Facebook Advertising Facebook and Tourism Marketing: Best Practices How Catskills Trout Tales Used Facebook Split Testing Tools To Optimize Their Budget What the heck is a Facebook Pixel?